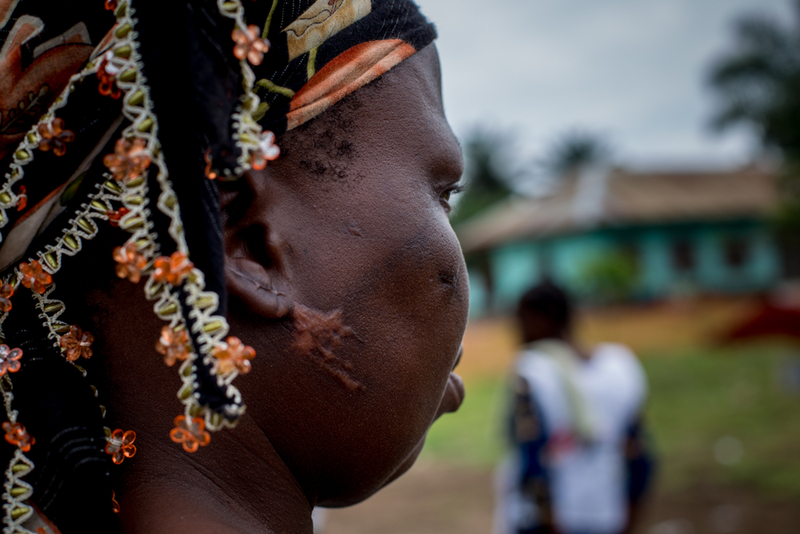 The violence that tore apart the territory of Yumbi, Democratic Republic of Congo, in mid-December 2018 left hundreds of dead, forced thousands to flee in haste, and destroyed entire districts in several villages. Two months later, the devastation is still clearly visible as the inhabitants continue to await further humanitarian assistance. "I remember hearing someone shout "Petrol!" just before they set fire to the house. We were barricaded inside. I pushed and kicked with my foot to make a hole in the wall to get out. I lost five of my children and grandchildren that day," says Chantal in a barely audible voice. The 50-year-old grandmother was taken to hospital for second-degree burns to her face and upper body and spent over a month at the general referral hospital in Yumbi where Médecins Sans Frontières (MSF) set up a special treatment room to care for those injured in the violence that took place between 16th and 18th December 2018. Even now, Chantal still comes every other day to have her dressings changed. More than sixty patients, some in critical condition, have been assisted by MSF since 22 December 2018. 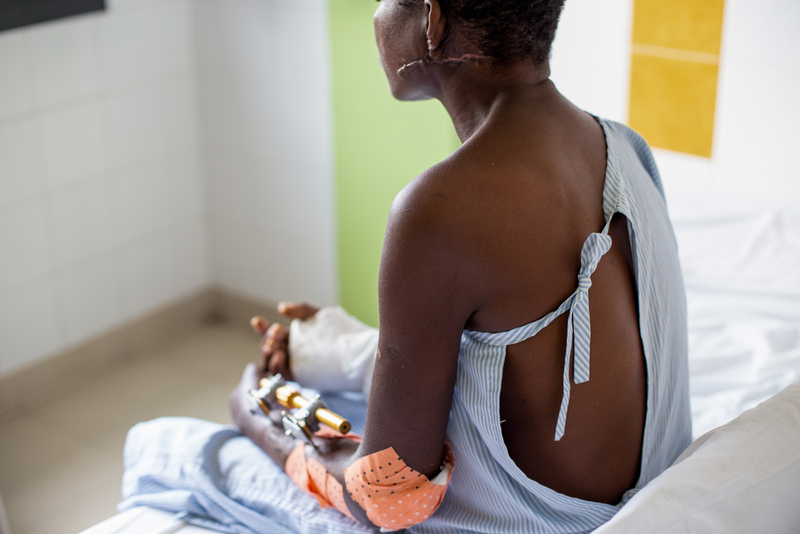 Chantal was severely burned and lost five of her children and grand-children. In addition to the physical wounds, lies a deeper trauma. "We hid in the Catholic mission's health centre. There was a massive crowd of people. There was panic. People were crying. The next day, when I went out to collect a few belongings, the city was empty, except for the dead. I see their bodies in my nightmares. It's only when I drink that I manage to sleep." Marcus* is not the only one for whom the memory of what happened is traumatic. Lack of energy, depression, loss of appetite, and insomnia are the most common signs of trauma identified by MSF. "The more direct the people's contact with the violence was the worse are their trauma symptoms. 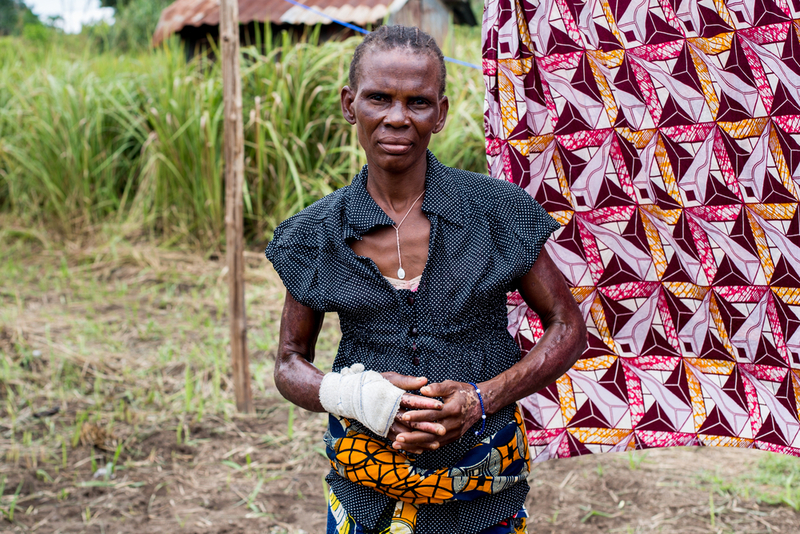 For many, the wounds are still raw today and so we shouldn’t force too quickly a return; otherwise, there is a risk of a new wave of trauma among those who do not feel ready to return home, where they have lost everything" explains Nicholas Tessier, MSF psychologist in Yumbi. Several thousand people fled to islands on the river, the neighbouring Republic of the Congo or further inland, a good distance away from Yumbi and the villages directly affected by the violence, such as Bongende and Nkolo, which remain deserted at present, devastated by destruction and looting. "We didn't have time to collect our belongings. We went down to the port to escape in canoes. We didn't have any oars, so we rowed with our hands. Look, even the clothes and shoes I'm wearing aren't mine, they were given to me. We have made a sort of tent and we're sleeping on the ground, on our clothing", explains Yvette who was displaced from Bongende. MSF has organised the distribution of relief kits containing a piece of plastic tarp, a blanket, a mosquito net, soap and rope to more than 2,850 displaced households. This emergency solution is insufficient to meet all the needs of the populations in terms of shelter and reconstruction, hence the need for other humanitarian actors to get involved as soon as possible. "The health system, which was already fragile in the Yumbi health zone, has also been impacted by these events. Health facilities were damaged. Health workers have fled," explains Dr Jean Paul Nyakio, MSF Medical Responsible in Yumbi. In order to ensure that populations can continue to access primary healthcare, MSF ran three mobile clinics in several sites across the health zone from early January to mid-February. More than 9,000 consultations were carried out by these mobile teams. "The precarious living and hygiene conditions caused by the population displacements increase the risk of spread of diseases. Rising malnutrition also points to a worrying situation of food insecurity. Even though the acute phase of the emergency is over, it is essential that additional resources are allocated to support the health system in the long term," he underlines. After a two-month emergency response, MSF teams have gradually begun withdrawing from the Yumbi health zone to make way for other organisations to provide long-term support for these populations. MSF will nevertheless continue to monitor the situation closely, ready to respond at any moment in the event of renewed outbreaks of violence or epidemics. MSF will also donate a month’s worth of medicines to the health facilities in the area in order to give support during this transition period. "My husband was killed first, then three of my children, including one I was holding in my arms. They killed him with machetes. Two other children were spared because they were hiding under the bed and my eldest boy who is 16 years old was wounded by a bullet but managed to escape. I was struck with machete blows and arrows to my face, chest and foot. I lost consciousness. They left us for dead. I came to in the middle of the night. I think I heard my children calling for help and crying. We didn't dare move so we stayed there, surrounded by dead bodies. At some point I lost my placenta. I was bleeding. I was six months pregnant when it all happened. I gave birth to my dead child alone on our plot of land. The next evening, my neighbour's son came and took me by bicycle to the hospital, where I remain. The injuries are healing, but I can't sleep. The images of what happened keep coming back to me. When I leave the hospital, I'm going to leave the city. There’s nothing left for me here. Everything I have, I have it on me." *Name altered at the request of the person concerned to protect their identity.